Some people will argue that credit cards are an irredeemable financial evil. They certainly do lead a lot of people down the path of overspending, debt, and even bankruptcy. But I don’t think the problem is the credit cards themselves — it’s how we use them. And if you follow a few key rules, you can enjoy their convenience and their benefits without the financial fallout. You can start by faithfully following 10 credit card commandments. Check them out in my new post on WiseBread. The fact that using a credit card is expensive is hardly shocking news. If you’ve ever carried a balance, the hefty interest rate quickly bears evidence of the compounding cost. Unfortunately, credit card interest is only the start of what a credit card can cost you. In fact, many credit cards have fees you’ve probably never even considered. The good news: Federally regulated institutions (your bank) are required to tell credit card holders (you) about the fees being charged. More so, credit card applications and agreements must include this information, and consumers must be updated any time these fees are changed. The reality: Most people don’t pay much attention to the fine print. With this in mind, I combed through the more obscure and easy-to-overlook credit card fees, so you won’t have to find out about them the hard way…when they land on your statement. Check it out in my new article on GoldenGirlFinance.com. Hey, excuse me. Your credit score is showing. Your bank can see it. So can lenders and landlords. Perhaps even your employer’s had a look. Unfortunately, much like that persistent piece of toilet paper that sticks to the bottom of your shoe, you might not be aware of it – and what it’s saying about you. 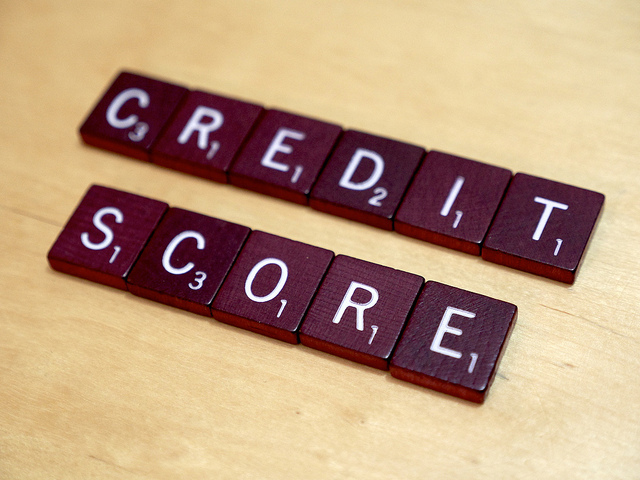 If you’ve ever applied for a loan, you know that your credit score counts. Unfortunately, most of us don’t know much about the shadowy numeric score that can literally determine our financial fate. Find out what you need to know about this important number, and what you can do to ensure it’s telling it like it is in my new article on GoldenGirlFinance.com. Money used to be a tangible asset – one that people counted, carried in their pockets and hid under their mattresses. But with the advent of credit cards – and now, contactless payment systems – cash is becoming somewhat of a rarity; rather than holding it in our hands, we exchange it electronically. And while this is certainly convenient, it’s not such a good thing when it comes to our spending. In fact, studies suggest that using a credit card drastically affects our spending behavior. Debit cards have a similar – although less powerful – effect. Now just imagine what happens when a transaction becomes little more than a flick of a smartphone. It’ll feel sooo easy. And that’s exactly the problem. Unlike the cold, hard cash people used to carry around, today’s money isn’t real; it’s just a number in a computer somewhere. Not only can we spend it almost unconsciously, but when it’s gone, we aren’t even left with a physical reminder like an empty wallet – just a negative balance and another card that we keep right on swiping. This is why consumers need to break new ground in how they think about their digital money.